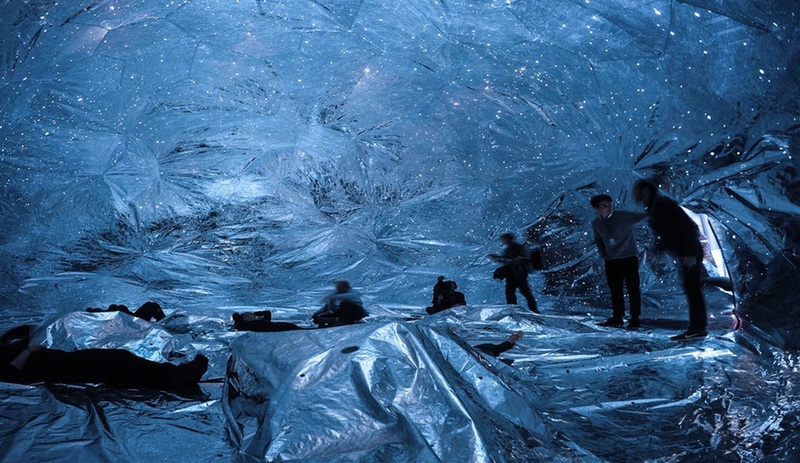 From Loop.ph’s simulated stargazing space in Vancouver to Raw-Edges’s colourful exhibition display in Chatsworth, England, here are 2015’s 10 best installations. 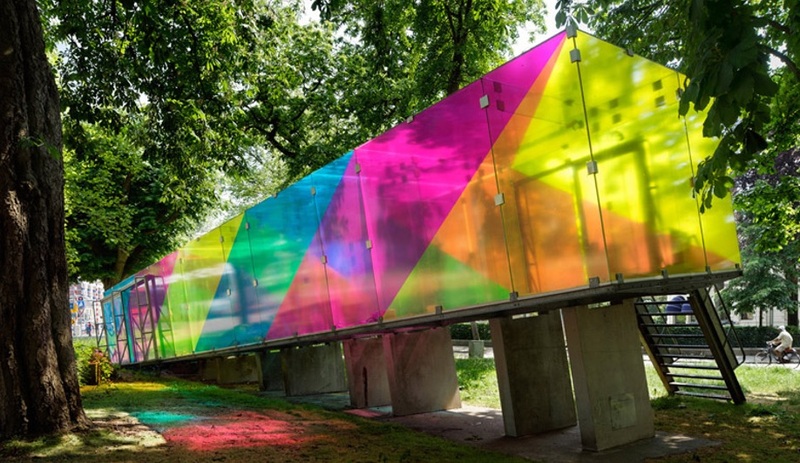 Most outdoor installations are fair-weather events, meant to be appreciated along with the summer sun. But Winnipeg’s winter Warming Huts add awe-inspiring architecture to the appeal of ice skating along the Assiniboine and Red Rivers. 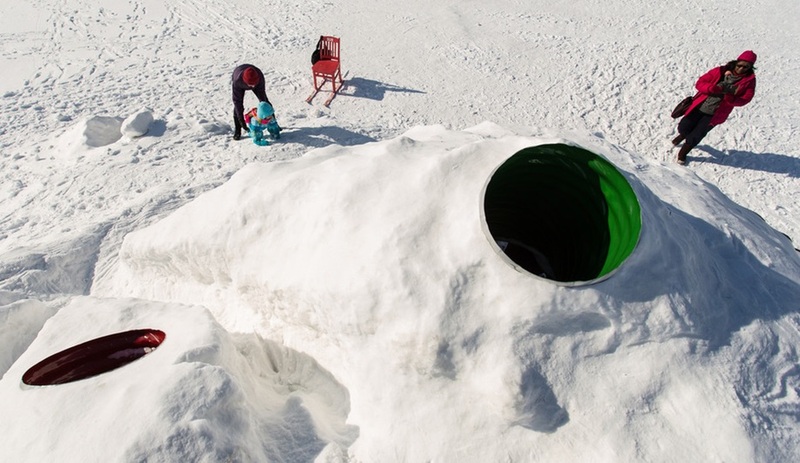 Curated via a competition that has attracted entries from notable firms around the world, the 2015 edition’s stand-out was the Hole Idea by Toronto’s Weiss Architecture & Urbanism. 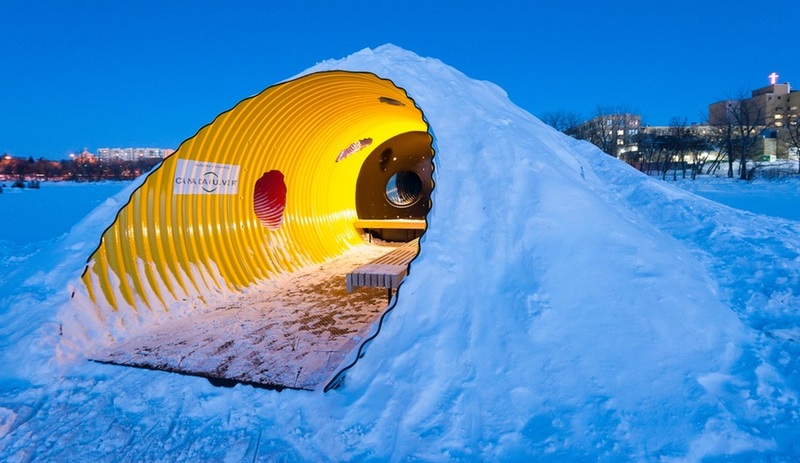 Inspired by “the portable hole” – an Acme product that was frequently employed by Looney Toons character Wile E. Coyote in his efforts to capture the Roadrunner – the shelter is constructed from metal culverts in various sizes, welded together and buried in the snow. 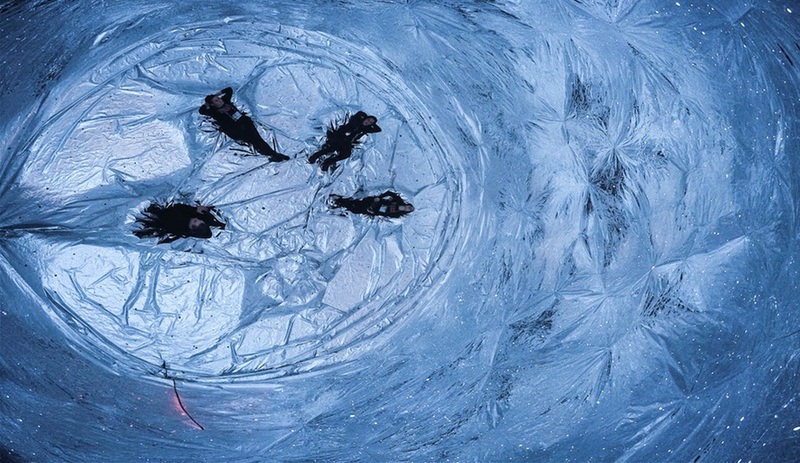 A little paint helps form a series of brightly coloured voids that grab attention from all directions. 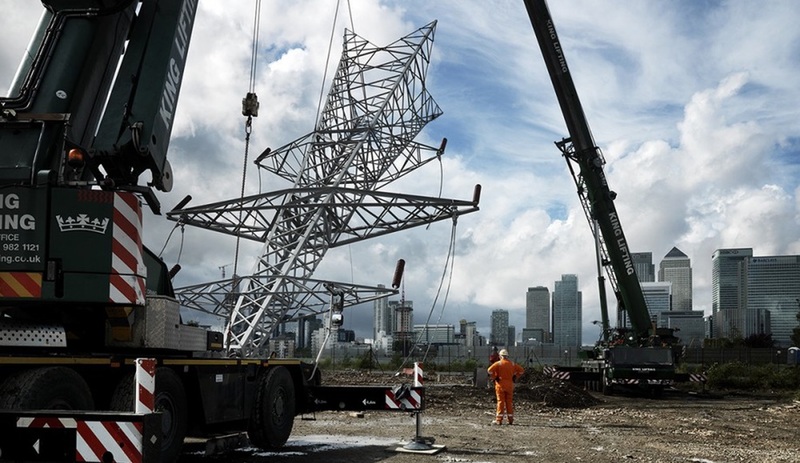 British sculptor Alex Chinneck looked to the industrial past of southeast London’s Greenwich Peninsula – a former oil and gas works currently being redeveloped into a residential area – for this outdoor installation. 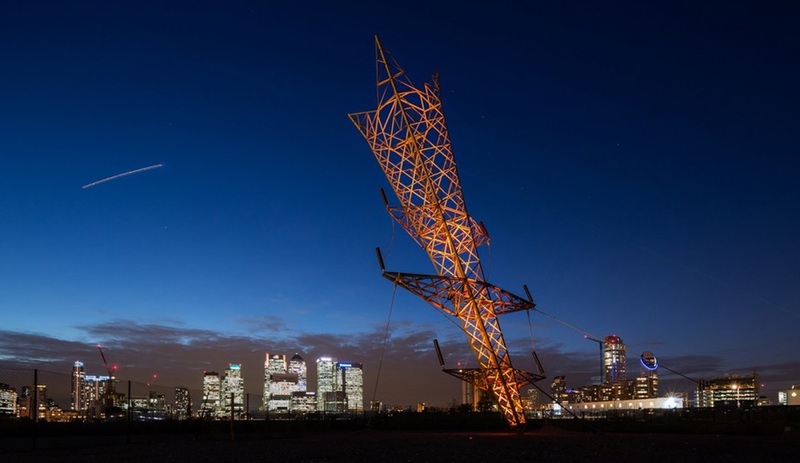 Erected during the city’s design week last September, A Bullet From a Shooting Star takes the form of a 35-metre high-voltage transmission tower, poised upside-down on its point, like a massive lawn dart. The simple concept made for a challenging execution: 450 pieces of steel weighing more than 15,000 tonnes and totalling 1,186 metres were connected using 900 joints and balanced with a 120-tonne counterweight, sunk into a 25-metre-deep concrete foundation. 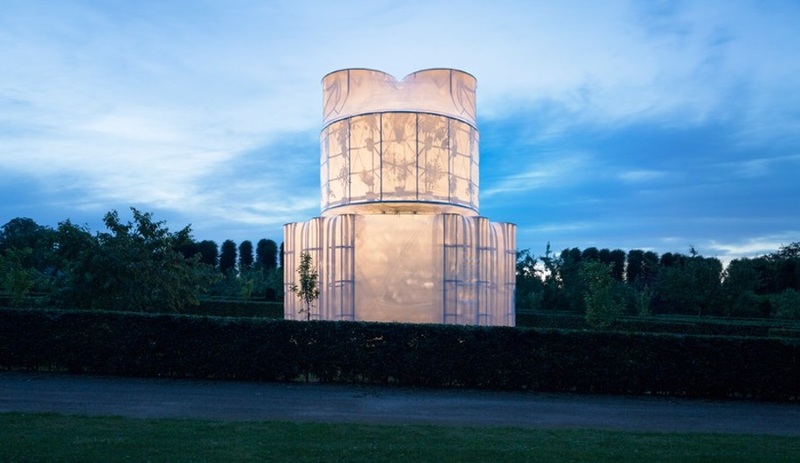 This shrink-wrapped steel structure was on view for the summer months in the Baroque garden of the GL. Holtegaard Art Gallery, in the northern part of Sealand, Denmark. The structure’s design and circular forms are a reinterpretation of one of the best-known architectural examples of the same era: the church of San Carlo alle Quattro Fontane in Rome, designed by the architect Francesco Borromini. 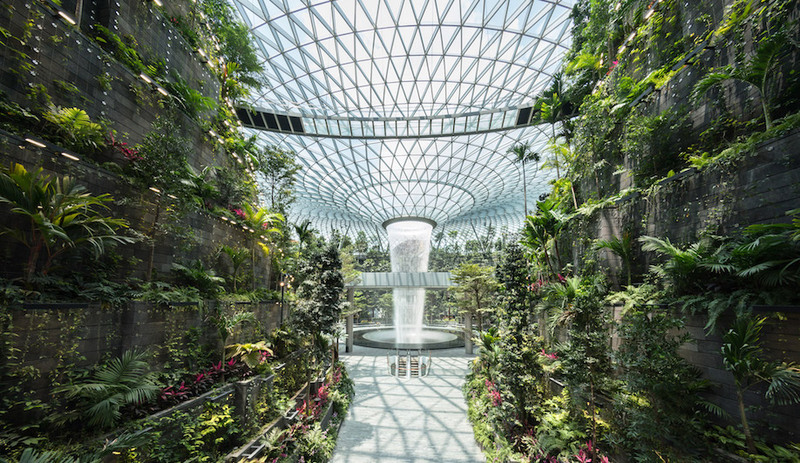 The interior is ornamented with fragrant live citrus plants that hang from the dome and sit on the floor. 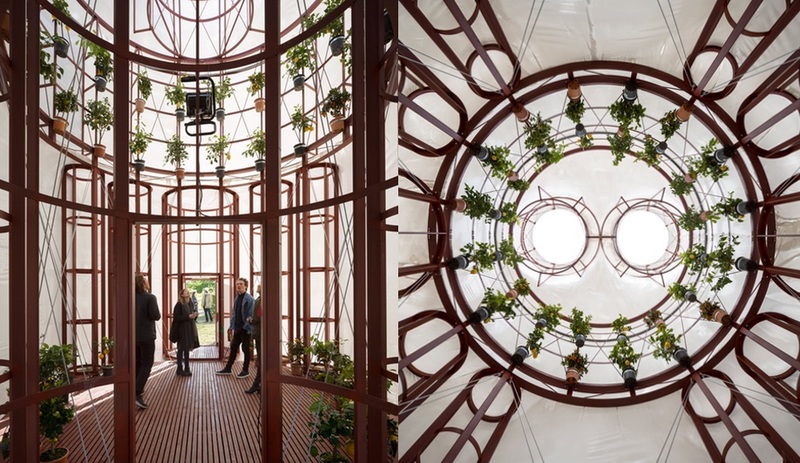 This London art and design studio produces inventive and memorable installations for events all over the world. Its inflated Osmo environment is envisioned as an infinite sky that offers a glimpse of the cosmos for city dwellers, who often can’t see stars past urban light pollution. The silver sphere is made from a metallic film and entered through a zippered door; once deflated, it easily folds down into a conveniently portable retreat. In October it was packed off to Vancouver for the TED 2015 conference, where it provided attendees with a contemplative space, free of electromagnetic radiation and pervasive digital technologies. 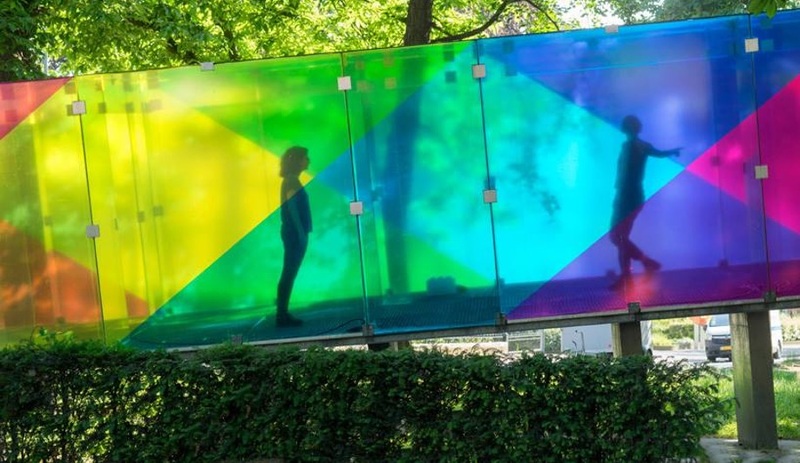 To mark the 25th anniversary of Bernard Tschumi’s all-glass pavilion, Rotterdam design studio Shift sheathed the transparent structure in strips of multicoloured film, turning it into a stunning 3-D visual experience – and one of our favourite summer installations. Translucent sheets of cyan, magenta and yellow were applied in an overlapping pattern, with the resulting composition changing depending on where one viewed it: From the inside, the original trio was visible, but from different viewpoints on the outside they also read as blue, green and red. 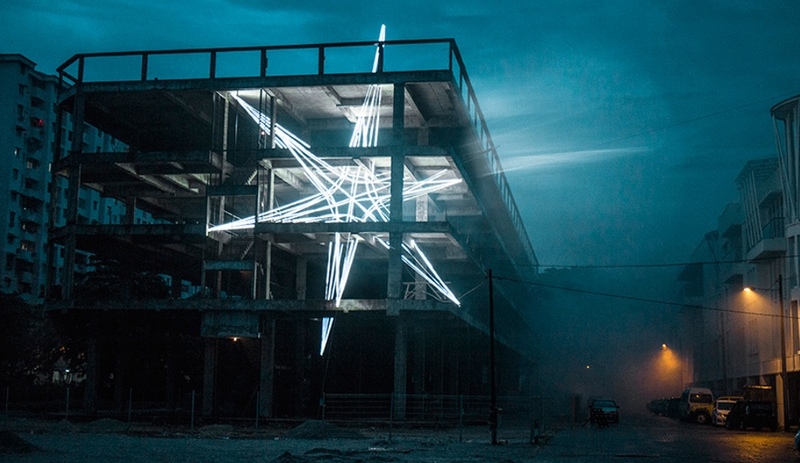 Using 500 metres worth of steel cables and LED-embedded strips, Kuala Lumpur architect and artist Jun Ong has composed a massive 12-point star that shoots through all five levels of a still-under-construction concrete building. The celestial-industrial sculpture reads as a single figure when viewed from afar, but as one traverses through the different levels of the building, it becomes fragmented pieces that are viewed individually. It’s currently lighting up the 2015 Urban Xchange public art festival in Penang. 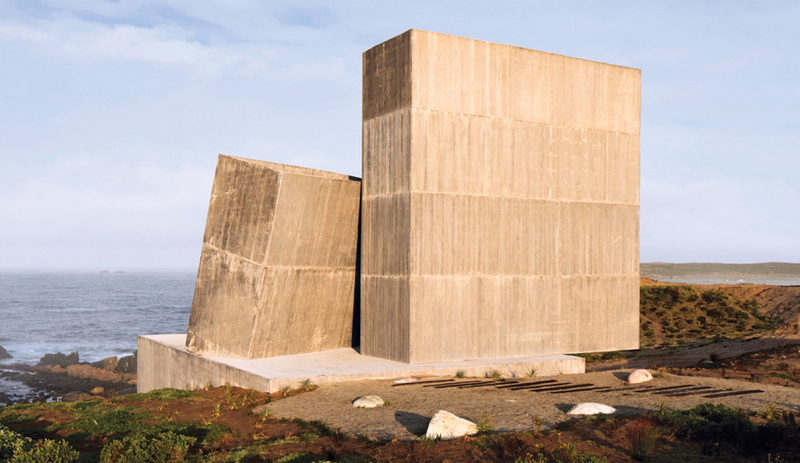 Its poetry alone earned A Tenth Spring a place among the best installations of 2015. 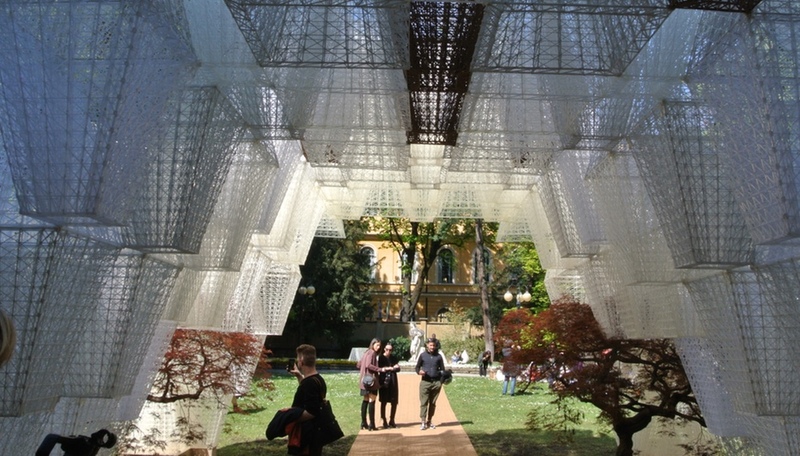 The three-architect team of Mickaël Martin, Margaux Rodot and Benoît Tastet created A Tenth Spring for the annual Festival des Architectures Vives in Montpellier, France. 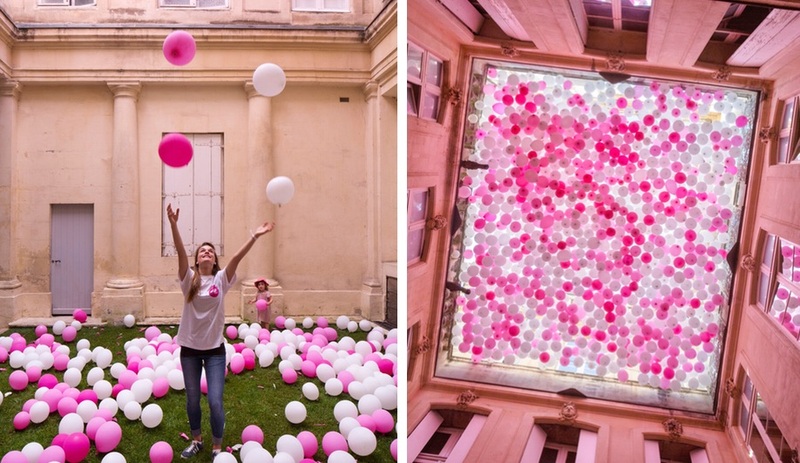 After topping a 35-square-metre residential courtyard with netting, the team filled the space with pink helium balloons, which gradually lost air and floated to the ground over a period of hours, like a building-scale hourglass. 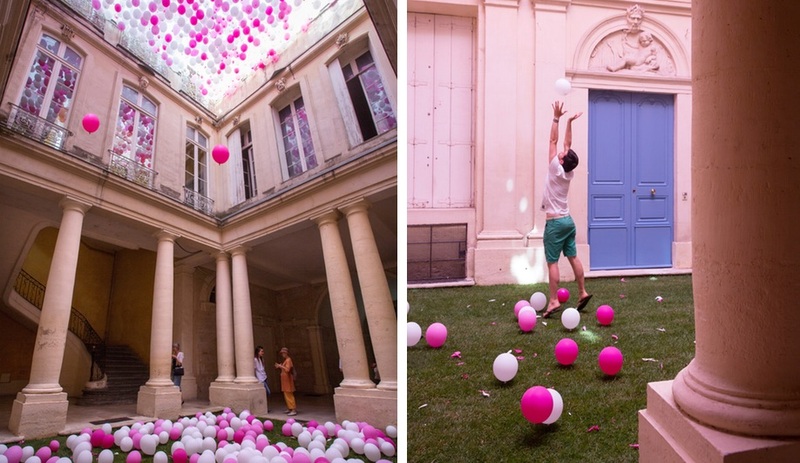 The process was repeated daily during the week-long festival – using 4,000 balloons in all – and visitors were encouraged to contemplate the passage of time as the balloons slowly fell, altering the quality of light in the courtyard as the sky above was gradually revealed. The work pays tribute to the Japanese tradition of hanami, the admiration of the ephemeral beauty of cherry blossoms each spring. 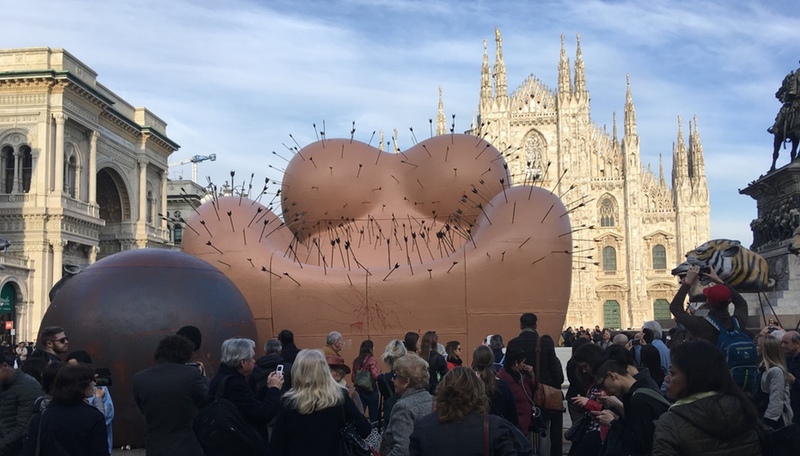 During Milan Design Week, when dazzling displays of furniture are to be found at every turn, an installation for fashion brand COS stood out for its minimal brilliance. 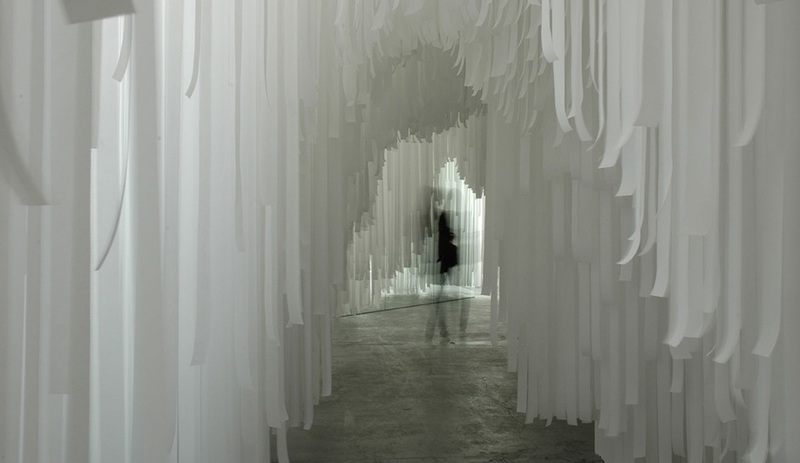 Snarkitecture, the young and daring New York studio, turned a palazzo in the Brera District into an all-white forest of endless ribbons. The strips of non-woven textile were abundant enough to obscure any glimpse of walls or ceiling, and light enough to sway theatrically with the slightest breeze. Visitors entered through a similarly draped doorway and meandered a winding path before arriving at an all-white room where COS’s latest apparel was lined up in tidy rows. The journey from busy street to serene interior had a powerful, calming effect – a perfect anecdote to the hustle of the furniture fair. 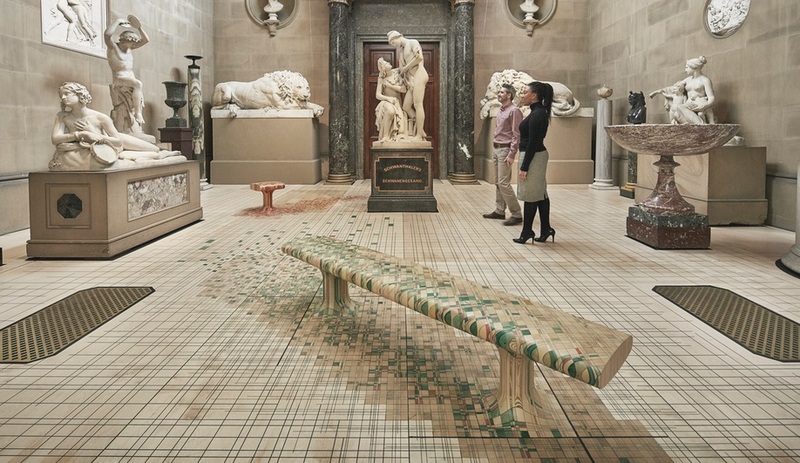 For a special exhibition of chairs at Chatsworth House, in the UK, Raw-Edges took a new furniture making technique for a test drive. The Endgrain process uses offcut blocks of wood, which have been dyed with a variety of bright pigments. The pieces are glued together with the grain facing vertically to create unique graphics, and the resulting form is CNC-shaped into furniture. 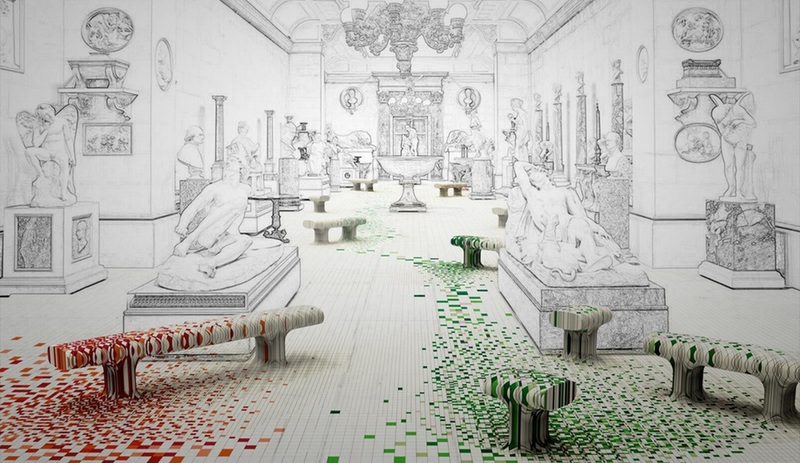 Inside the 19th-century sculpture gallery of the historic home, a temporary floor was given the same treatment, so that the seating intervention seems to have sprouted from the tiles. Endgrain is now being presented as a furniture series that includes a long bench, arm chair and a console table. 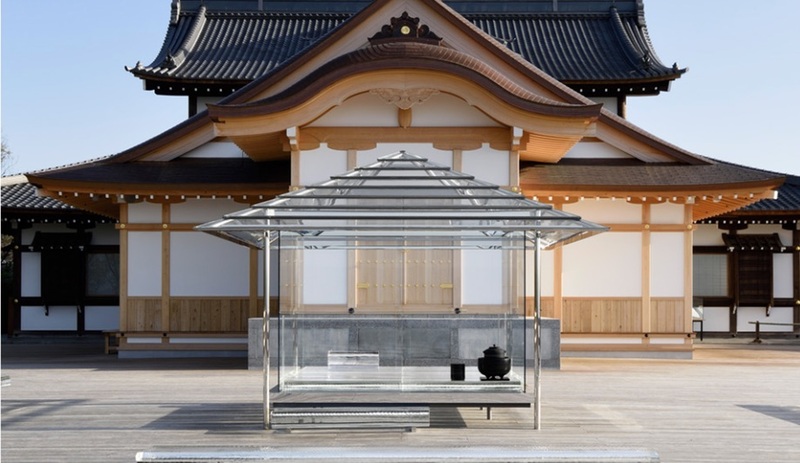 In April, after 13 years of planning, designer Tokujin Yoshioka installed a glass teahouse on the wooden deck of Shorenin Buddhist Temple, one of the oldest temples in Kyoto. Called the Kou-an Glass Tea House, the tiny structure sits on thick slabs of rippled glass bricks, with three glass benches offering visitors a place to sit outside when ceremonies are in progress. Yoshioka is well known for his fondness for translucency; he has crafted all-glass storage units for Glas Italia, clear plastic seating for Kartell and even designed a transparent smartphone for Japanese telecommunications company KDDI. 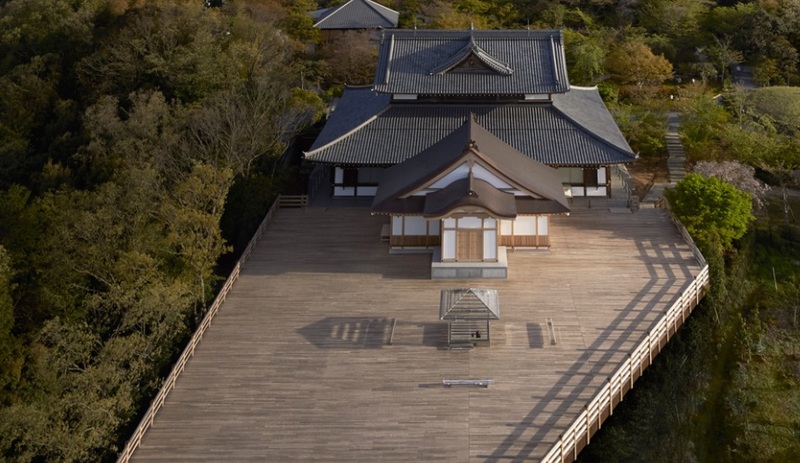 The teahouse is something much more: a project that’s rooted to the history of his country. “I wanted to express the regeneration of tradition and history by modern design, and to think and trace why the tea ceremony, which is one of Japan’s symbolic cultures, has been generated,” says Yoshioka. See the rest of our 2015 Top 10 lists here.